AT&T will not sell CNN and it doesn't intend to sell key assets, either, to satisfy the Justice Department's demand for closing its $85 billion merger with Time Warner, AT&T Chief Executive Randall Stephenson said Thursday. The Justice Department and AT&T are in the midst of a war of words over whether the Trump administration will approve the deal after a year of reviewing it. Stephenson said Thursday that if there is no progress on negotiations, the likely result will be the phone giant heading to court to protect its planned acquisition and prevent any divestiture. Speaking at a New York Times Dealbook conference in Manhattan on Thursday, Stephenson expressed frustration over reports that AT&T might sell the cable news network. A Justice Department source insisted on Thursday that AT&T had offered to sell CNN as part of negotiations over the merger. Sources told NBC on Wednesday that the Justice Department had told AT&T that it would have to sell one of its significant assets — such as Turner Broadcasting, which includes CNN, or DirectTV — or one of Time Warner's for the acquisition to be approved. On Thursday, Stephenson said AT&T shouldn't be expected "to sell something larger." AT&T is arguing that because it would be a merger of a distribution company with a content company, there are no antitrust issues. 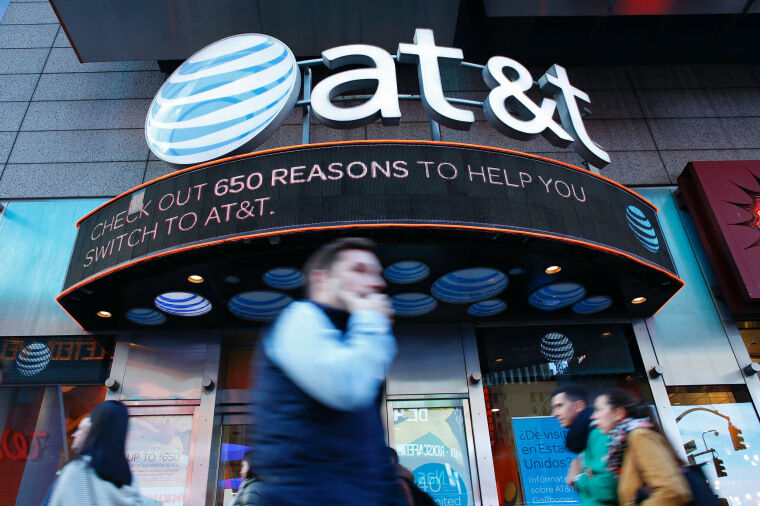 Rivals have said AT&T may still exercise market power by potentially raising the price other distributors have to pay to carry Turner’s channels. Turner Broadcasting includes CNN, HBO and the entertainment channels TNT and TBS, and accounts for half of Time Warner’s annual profits. Time Warner's other major unit is Warner Brothers, its film and TV studio. Reuters first reported that Justice may ask for a sale of either DirecTV or Turner. “I expect the DOJ is concerned that AT&T would abuse its new power with Time Warner content and unfairly leverage Time Warner content against its distributor rivals,” Gallant said. AT&T could also offer HBO free with its online video packages, rendering rivals such as Starz a poor option for consumers. Reports that the Justice Department might block the deal are surprising, said Jennifer Rie, a senior litigation analyst for Bloomberg Intelligence. She said there's a long history of such acquisition disputes being resolved "with behavioral conditions,” which government officials create and then monitor for breaches of antitrust issues. AT&T and Time Warner have until April 22 to get a federal court to rule against Justice. If that doesn’t happen, either party can walk away from the deal.